I'll be the first to admit that I'm an absolute moron when it comes to geography. I know my 50 states and pretty much what lies on the North American continent, but after that, you can forget it. :question: Now as an adult, it's fairly embarrassing when folks mention places like Belarus or Kazakhstan because I never even knew they existed. Like any good parent, I want my daughter to learn from my own mistakes and do better than me in her own life. That's why I was thrilled to find that Educational Resources has a fun and amazing way to help children learn their world geography...the GeoSafari Talking Globe! Keep reading to learn more! I reviewed the GeoSafari Talking Globe from Educational Insights which retails for $119.99, but is currently on sale for $86.75 with FREE SHIPPING. With the GeoSafari Talking Globe you and your child will embark on a great adventure—a trip to countries around the world, to the summits of the highest mountains, down the longest rivers, to landlocked nations, and to sun-drenched islands. 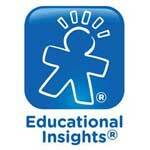 Along the way, you will learn many interesting facts about Earth, its countries, and people. The GeoSafari Talking Globe is packed with more than 10,000 questions and features that will help you learn and retain geography facts and other useful information. Setting up the globe is quite easy to do, as long as you have a little hand strength. Personally, I needed my husband to help, since my hands weren't quite strong enough to push down on the spring in the base of the unit while at the same time, turning the lock that holds the globe in place. Once this was done, you must decide how you'd like to power the GeoSafari Talking Globe. Unfortunately, the AC adapter (EI-8702) doesn't come with the globe itself and must be purchased separately. If you want to begin operating this educational toy right out of the box, be sure to have 4 fresh "C" batteries handy. Now you're all set and ready to go. 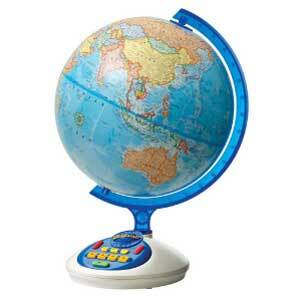 The GeoSafari Talking Globe quiz is easy to set up and play. 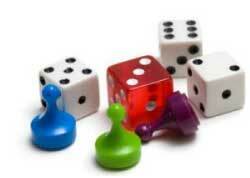 Use the ten keys on the globe unit to program and play fast-paced, challenging quiz games. Once you choose the number of players (1-4), the answer response time (20 seconds, 40 seconds, 60 seconds or 120 seconds) and content, you'll be asked 10 questions. You can easily adjust the volume level and repeat the question as many times as needed by pressing the appropriately labeled buttons. What's more, if you notice the "HELP" light flashing during your game, you can press this key to hear helpful clues. When I quizzed myself on just the USA and Canada, I found that my scores averaged around 90%, letting me know that I should probably focus my efforts on my weaknesses which would be the rest of the world. :laugh: This feature would be very helpful to students as well. Being able to phase out specific regions and countries means that you can hone your skills quickly and easily. Eventually, I hope to become proficient in world geography and begin earning those 90% scores on just the world level of questions. With more than 10,000 geography questions to master, I'm sure the GeoSafari Talking Globe will keep me quite busy for quite a long time. 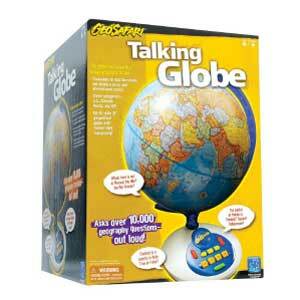 Disclosure: I received the GeoSafari Talking Globe from Educational Insights in order to facilitate my review. No other compensation was received. This product review is based on my own personal experiences with this item and is completely honest and objective. My Daughter would love the talking microscope as well. GeoSafari® Tuff Cam would be a hit. The 360 telescope for sure! My kids would enjoy the GeoSafari® Vega 360 Telescope. my daughter would love the GeoSafari® Jr. Talking Bug Net™! The net knows which bug you’ve caught! My daughter would love the talking bug net.